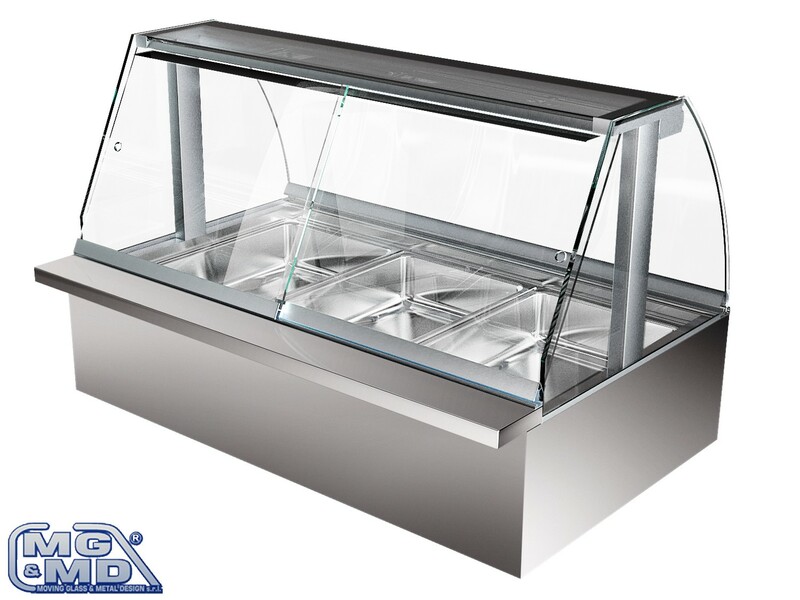 “Buffet” model display case is suitable for the furnishing of cafe shops, bistrots or hot table where you need a short depth. This model can be coupled with a section panini model. But in buffet model it’s possible to fit inside the tank 1:1 GN containers, of different hights. 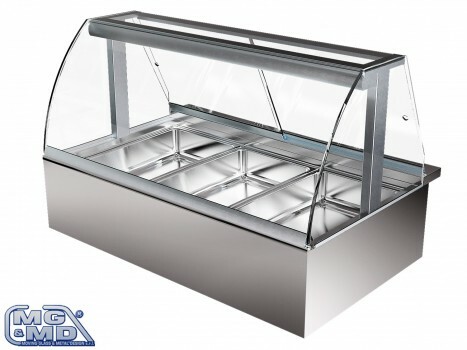 The tank and the work surface are in stainless steel, with body lined up end sides in glass, glass frame structure with vertical studs and anodised silver light profile, as standard, with standard glass top and neon light. It’s possible to produce this model in static refrigerated, dry heated, bain marie heated and neutro versions with front glasses opening by vasistas system, towards the high (served customer) or with sliding front glasses (for self-service). Intermediate shelf (without neon light). Back doors for (E), (F) neutre versions and (C), (D) heated versions. 1:1 GN baking-pans with or without covers. Built-in motor connected below the tank.